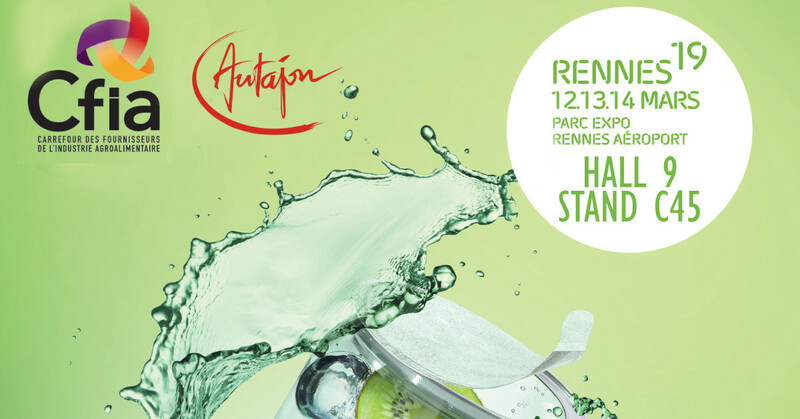 Meet the Autajon Group at the CFIA Rennes 2019 exhibition from 12 to 14 March 2019. For 22 years now, the CFIA Rennes (Carrefour des Fournisseurs de l'Industrie Agroalimentaire) has been the leading trade fair for the agri-food industry in Europe. The CFIA offers a Packaging & Conditioning section that perfectly matches our core business. This year again come and meet us at CFIA Rennes Hall 9, Booth C45 from 12 to 14 March 2019. Our Autajon Labels Lorient & Autajon Packaging Haubtmann teams welcome you to our stand.